Then come in and SEE what you're shopping for. 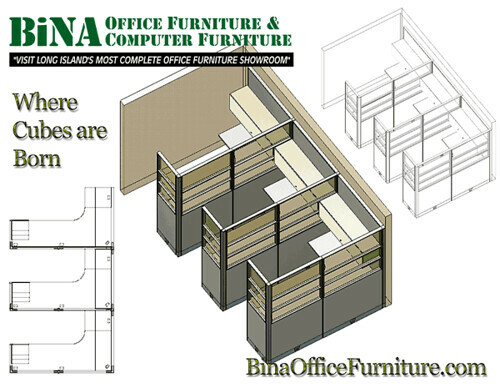 Unlike "fly-by-night" websites, we're a REAL store with a REAL showroom - over 30,000 square feet of showroom - right here in Long Island, New York. 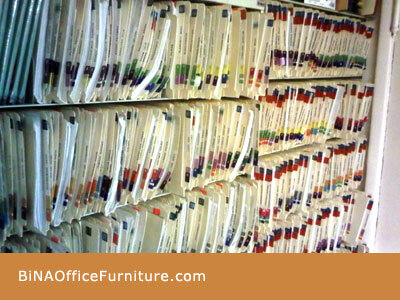 We've been selling office furniture for over 30 years so you know we're going to be here when you need to re-order another matching desk or file cabinet. We'll work with your decorator or designer too, or our own in-house design specialists can fill in your floor plan at no additional cost. 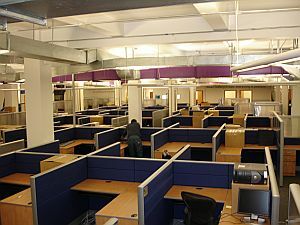 Move Into The Corner Office! 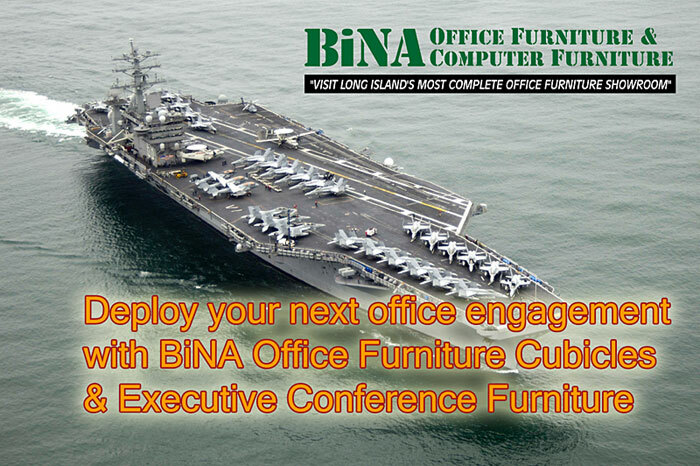 Take the lead on your project plans, come to BiNA Office Furniture in New York and build out your cubicle design plan on time and under budget. 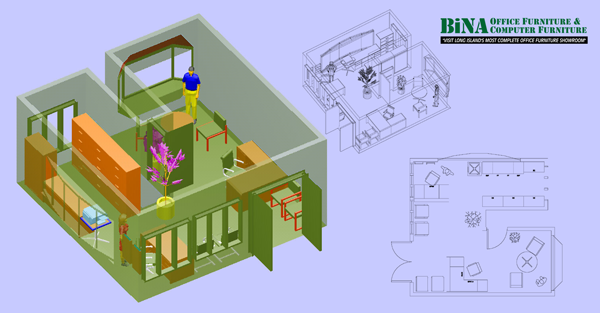 Whether you have architect blueprints or a pencil sketch, we can work with you to design and build out the office cubicles you need for your new or existing office space. 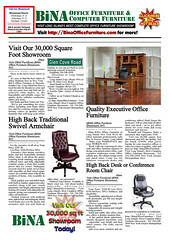 Visit our showroom and see actual floor models and panel samples, styles and fabric colors. 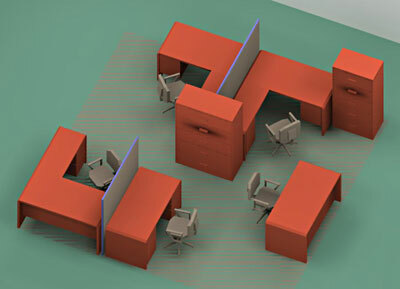 Specify your configuration needs, timeline and budget constraints — we'll recommend the best selections for your needs and help you choose your optimum cubicle solution. Count on our professional fleet service installation and setup; whether you're buying 5 cubes or 50, we serve all our customers as the most important ones. 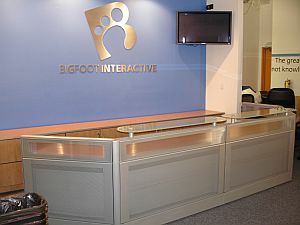 Browse also our extensive showroom selection of conference room furniture, executive desks, and waiting room reception desks.